I signed up to participate in the 8th annual Bead Soup Blog Party. My partner, Barbara Mason lives in Ashland, Oregon, where she divides her time between being a hospice nurse and making jewelry. 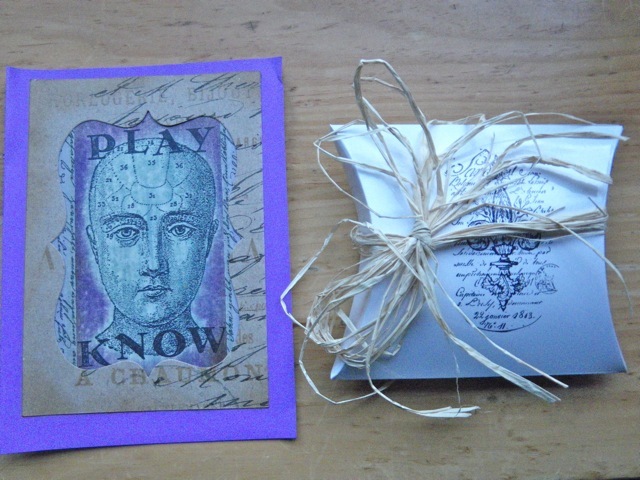 her website is called Adorningly Yours, and she makes some very cool things. Be sure to check it out! This is her second time participating in the BSBP and my third time. The rules are that when you are paired with your partner, you get in touch and exchange beads. 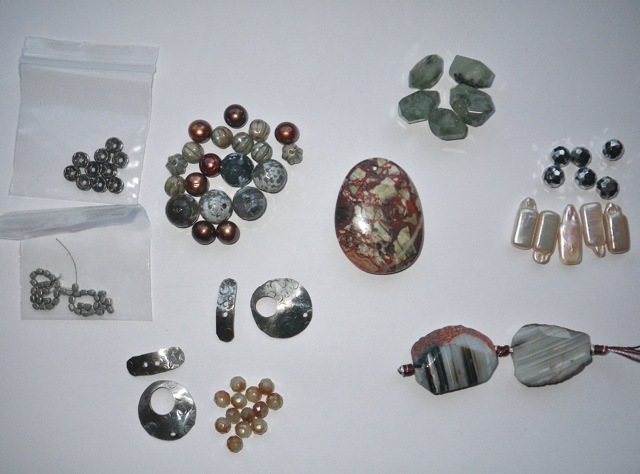 You must include a focal piece and a clasp along with whatever other beads you want to send. Participants create something with the beads they receive, adding from their own stock if they wish. 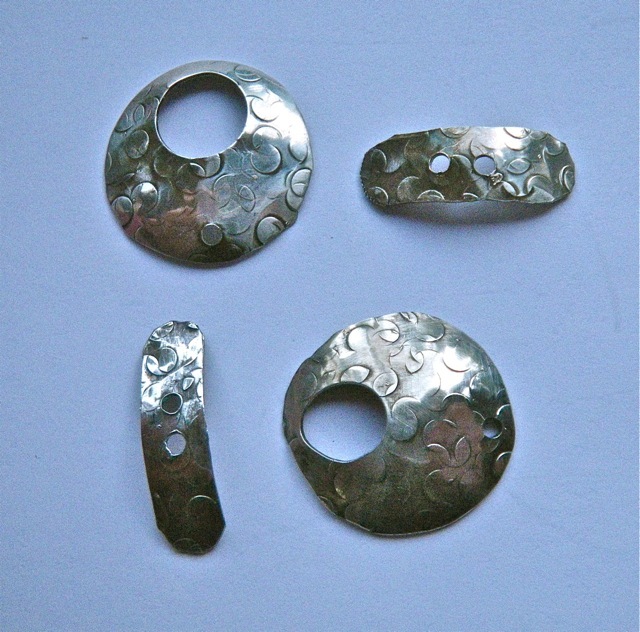 The only requirement is that you use the clasp and the focal piece in your creations. But you will likely use most, if not all, of the beads you received. We take photos of the pieces we have made and May 3 is the big reveal date. On that day, everyone posts their photos on their own blog and you can hop from blog to blog to see what others have made. It’s a lot of fun, really gets the creative juices going, and you meet people from all over the world. 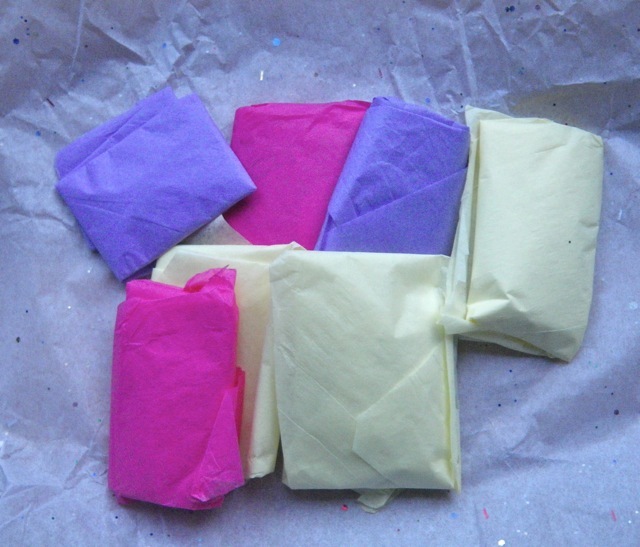 It feels like a birthday having all these little packages to unwrap! I’m not sure what this focal stone is, but it looks like it might be rhyolite. Also, this quick photo I took does not do justice to how pretty these beads are. 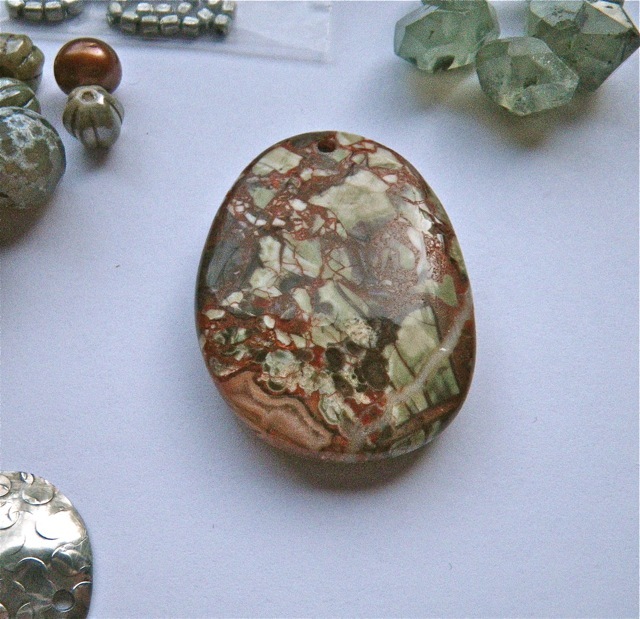 In the top are 5 beads that are translucent green with dark stripy inclusions. Rutilated quartz? They really have me inspired today! 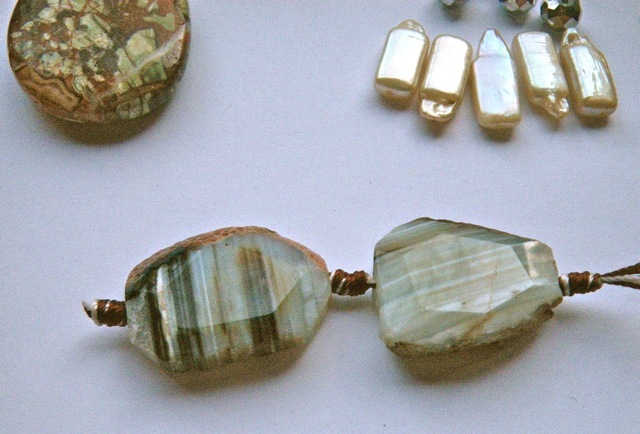 The two striped beads below look like some kind of agate. The silver toggle claps are great. I’m wondering if Barbara made them herself? 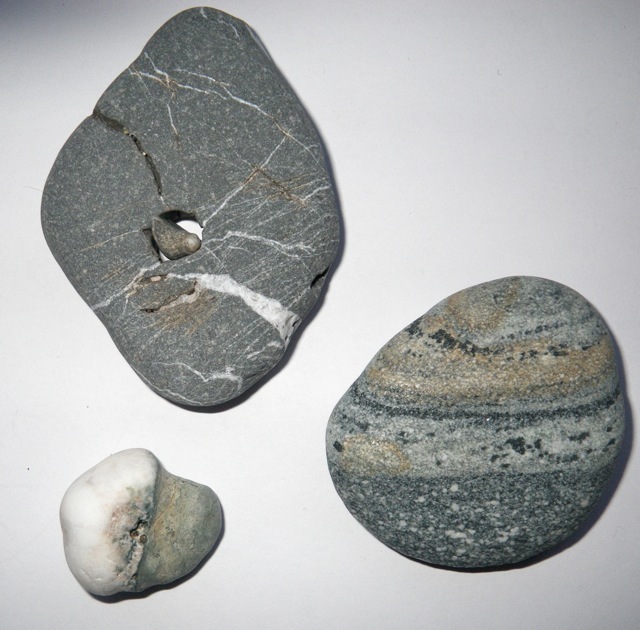 And, because she knows I work a lot with beach rocks from the east coast where I live, Barbara sent me a few rocks from the west coast! I’m off to the studio right now! I think the translucent green beads with rutiles is prehnite. Cool! Barb – I have been so busy as I am sure you have too, the green stones are Moss Agate, the focal bead I believe is Mushroom Jasper, the large striped beads are a quartz, and yes i dis make the toggle clasps -sterling silver! I have to laugh cause we each sent the other Dotted Silver!!! I love my soup and so looking forward to what you create!